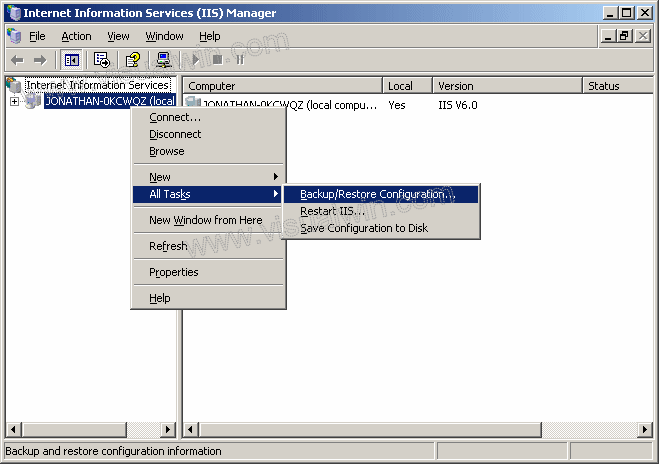 In previous versions of Internet Information Services (IIS) configurations were stored in the registry. 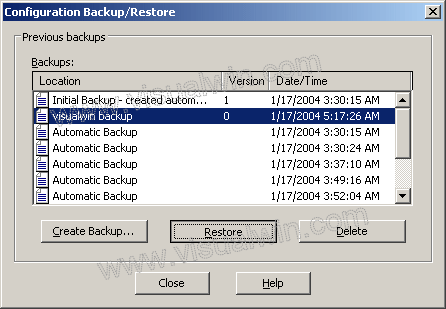 Part of IIS 6.0's rebuilding was changing where the configuration is stored, which is now a file named MetaBase.xml in your \WINDOWS\system32\inetsrv directory. 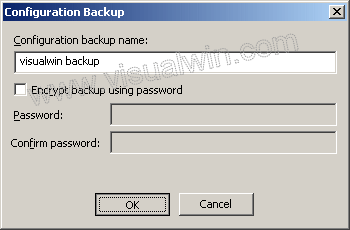 Sure, you can copy that file (and possibly MBSchema.bin.00000000h) to a separate directory, but a smarter way to do this is to use IIS 6.0's built-in back-up mechanism. There are 2 ways to do this, but I'll only be showing you the graphical one at the moment. 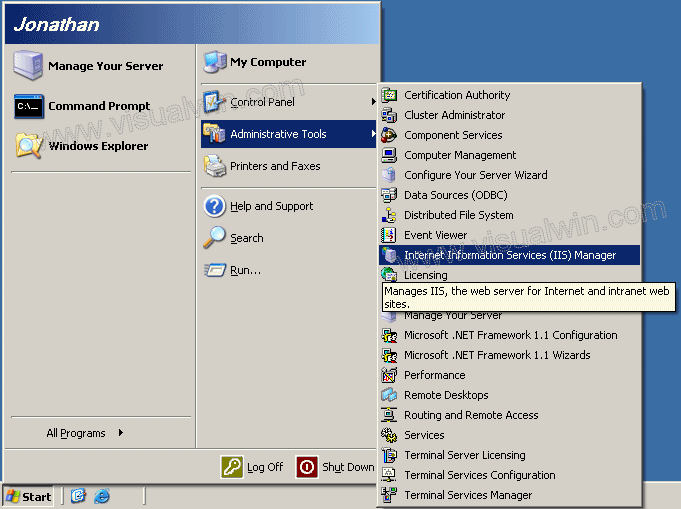 Load IIS from the Administrative tools in the Control Panel by clicking Start -> Administrative Tools -> IIS Manager (or loading the Control Panel, entering the Administrative Tools folder, and double clicking IIS Manager). 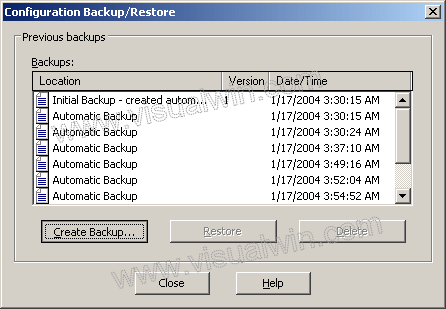 Right click your computer name, put your mouse over "All tasks" and click "Backup/Restore Configuration"
I recommend the copying of these files to another folder, just in case.